We have all experienced the stress associated with planning a holiday party. We at Triple S offer these simple tips to achieve a holiday party that maximizes your guests’ experience and minimizes your stress and worry. With a bit of attention to detail, may your style shine brightly. Step back and assess your party in an organized fashion. Determine the number of rooms, items, and timing of the transformation you’ll need. Form and function aren’t just a 20th-century idea; it works for holiday preparation, too. You are inviting guests to your home, so maximize your space and minimize the objects that intrude on your guests’ experience. The first step is to remove what doesn’t serve a purpose. With the objective in mind, rearrange the room to maximize theme, efficiency, and comfort for your guests. 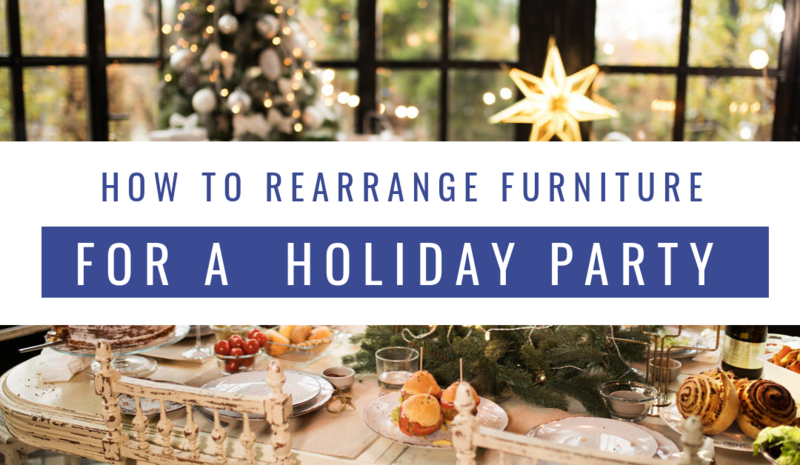 Whether for dining, grazing, mingling or gathering together, the rearrangement should maximize the effect. Let decorations take center stage, after all, it is the holidays. Add decorations that will enhance your guests’ experience. Add personal touches to welcome and awe your guests with style, elegance, and whimsy. Follow these simple tips so you and your guests will remember the party experience fondly, well after the holidays. Call Triple S for any stains or spills on your carpet or furniture!